Review In the months following the launch of its new mid-range DSLR at Photokina, Nikon struggled to keep up with demand, so successful and fabled the D7000 had quickly become. But does it really live up to the hype? Well, to start with there are quite a few headline-grabbing introductions. The D7000 sports a 16.2Mp CMOS sensor, the highest resolution in the whole of Nikon's DX line, actually only surpassed by the 24.5Mp of the top of the range full frame professional D3x. It also offers the widest sensitivity range of any DX model, spanning between ISO 100 and 25600. In addition it features the EXPEED 2 image-processing engine, 39-point auto-focus with 3D tracking, improved metering, twin SD card slots, 1080p HD video recording capability and can continually shoot up to 6fps. Quite impressive for a consumer DSLR, and given it can currently be found on-line at around £900 body-only or £1100 with the 18-105mm VR lens kit, it is perhaps no surprise that it’s a best-seller. Many see the D7000 as the natural successor to the D90, despite Nikon’s claims to the contrary. I’m with Nikon on this though – the two cameras are certainly comparable in size and shape but the similarities end there. 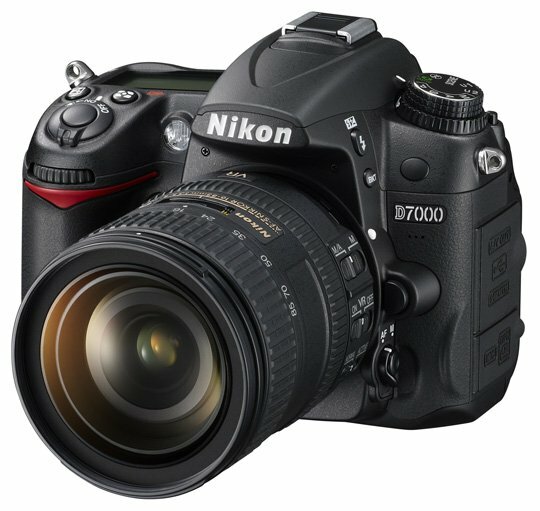 The D7000 sports a weather-sealed magnesium alloy body shell which, previously, Nikon had only used in top-end APS-C and full frame cameras. While this makes it 70 g heavier than the D90 it also adds a more solid and professional feel to it. Moreover, the D7000 departs from the D90 on the handling and control layout front too. This has been partly redesigned to produce a much nicer in-hand experience and a more user-friendly operation. For instance, the AF selection mode switch is now replaced by a button sitting inside the AF/M selector on the front plate, a nice and space-efficient solution. A rotating switch instead of a button activates Live View, encapsulating the movie record control at its centre. This arrangement should prevent hitting it by mistake with the thumb, as I tend to do with the D90. 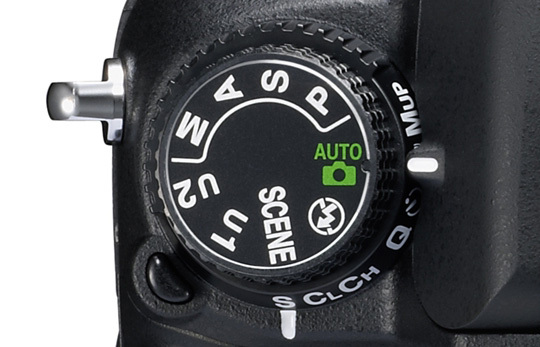 However, the main change is in the exposure mode dial. Scene mode selection is not available on the main dial anymore, having being replaced by two user defined modes. Certainly, it’s an indication of a slight tweak in Nikon’s marketing strategy, as it appears the company now aims its flagship consumer DSLR at more advanced users inclined to operate in creative manual or semi-manual modes.